Bike sharing that moves at your pace. 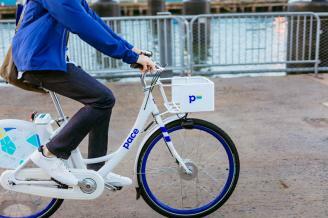 Pace is a dockless bike-sharing service for smart cities and colleges. Bikes you can count on, parking where it makes sense, and wind in your hair. Pace is powered by Zagster, a proven smart-bike pioneer operating 200+ bike-sharing programs in 35 states that make bikes available to more than 6.5 million people every day.